Working again with Slant Partners, we were tasked with implementing Slant's design as well as building a client login to allow event exhibitors to manage their profiles. 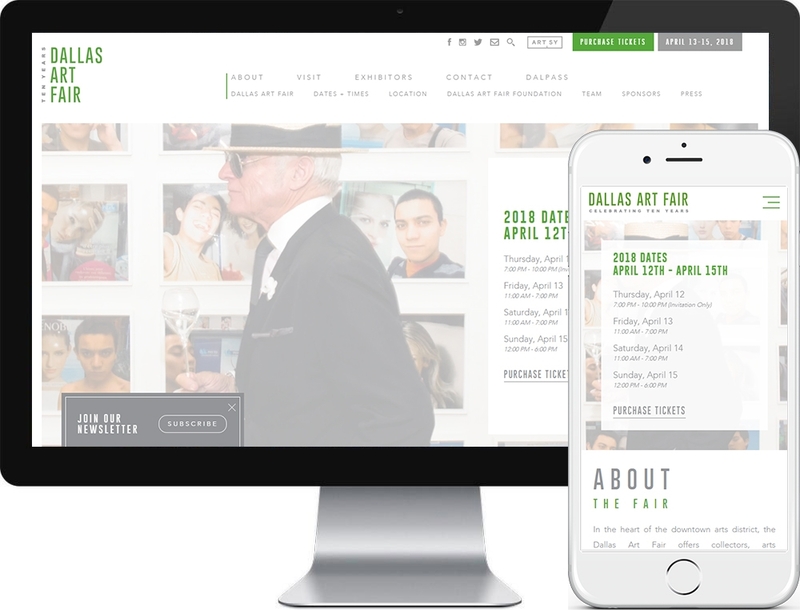 Behind the scenes we developed a custom content management system to allow Slant and the Dallas Art Fair team to modify the site's content. This project is a 2018 Awwwards Mobile Excellence Award Winner.